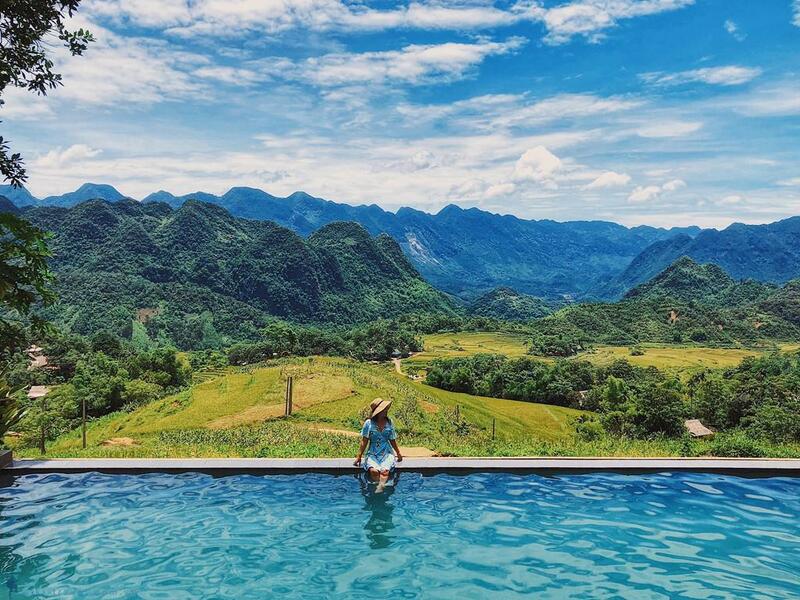 Cycling through spectacular nature reserve, ethnic villages, rice paddies of Mai Chau and Pu Luong, visit and stay with the local ethnic minority of the Thai. 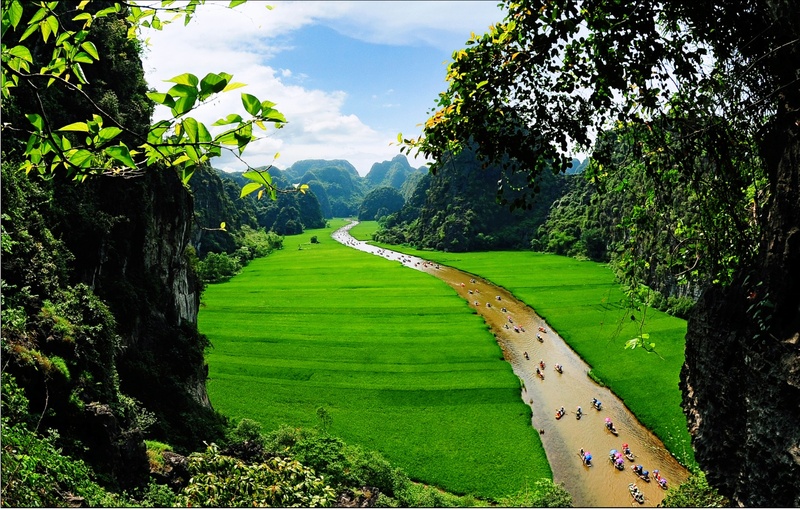 Plus a visit to the World Heritage of Trang An belongs to Ninh Binh province. 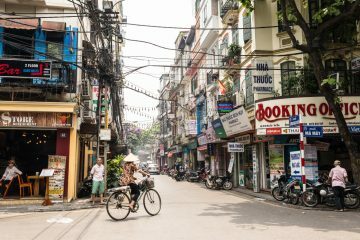 Departure from your Hanoi hotel at 8:00. Start riding after an hour drive on the quiet countryside roads, cycling distance can be flexible as we will have our van following us all the way. 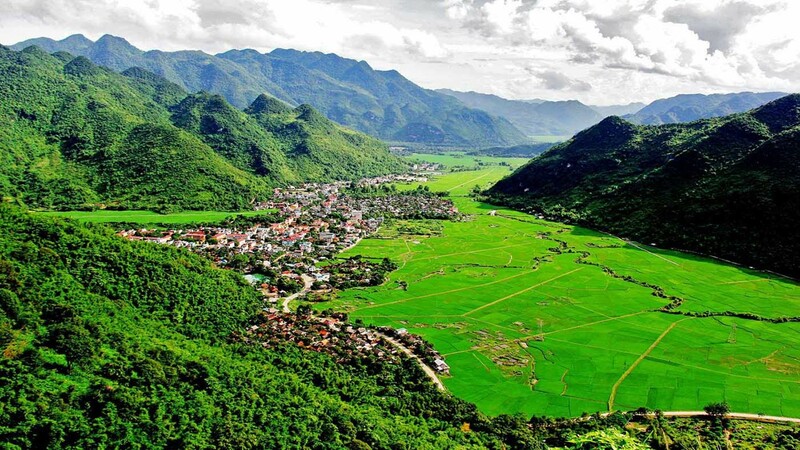 Lunch stop on our halfway to Mai Chau, we will then continue our afternoon cycling up and down hills, and along the Hoa Binh lakes where you encounter an amazing view of the peaceful lakes. 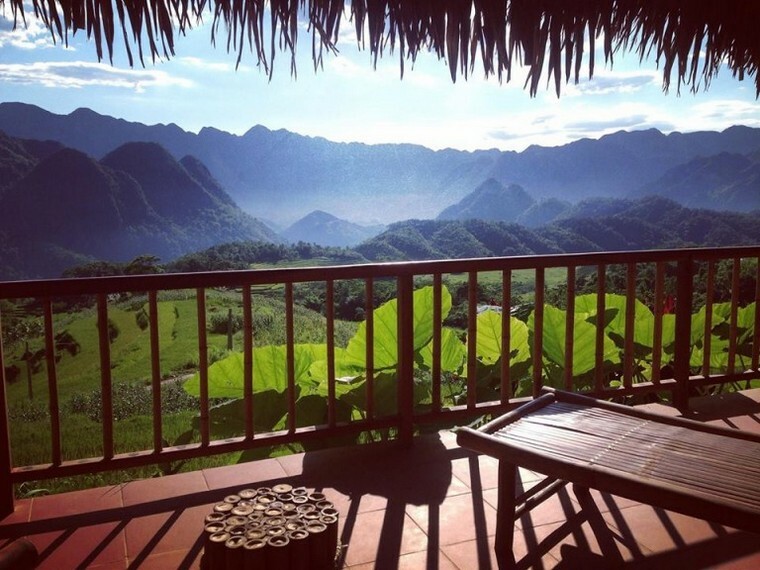 Our late afternoon descending down hills to Mai Chau, arrive in Poom Coom – a tribal village of Thai. Dinner and overnight in a local guest house here. 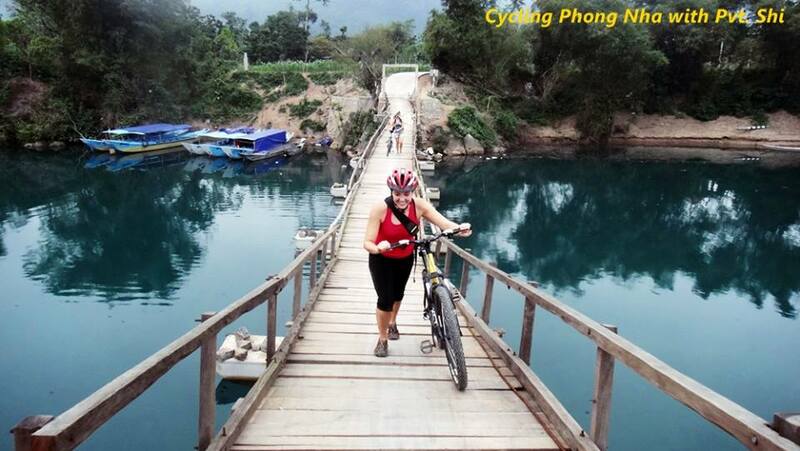 Transfer, guide, guest house, lunch, dinner, mountain bike, helmet, snack & water. It’s better to be up early to witness the local life here. 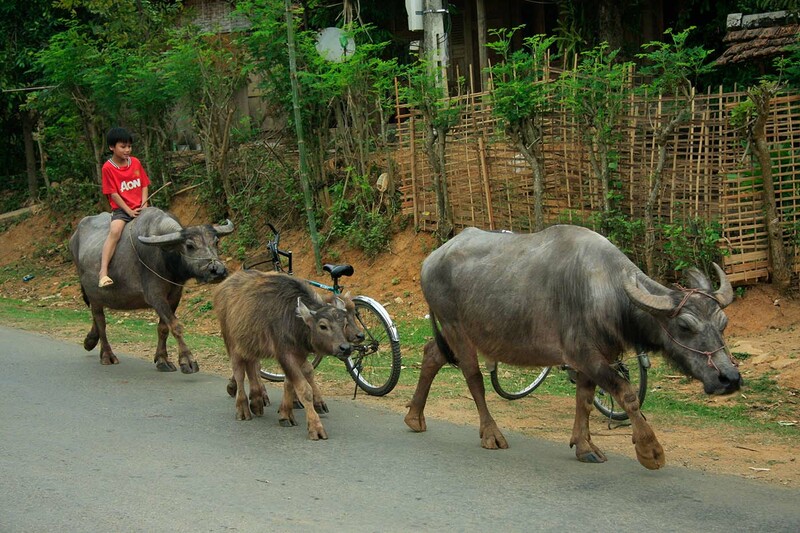 After breakfast, we go for a short car ride then cycle along Ma riverbank, and If good weather, we will try a 10 km on single track to some very remote villages along Ma river. 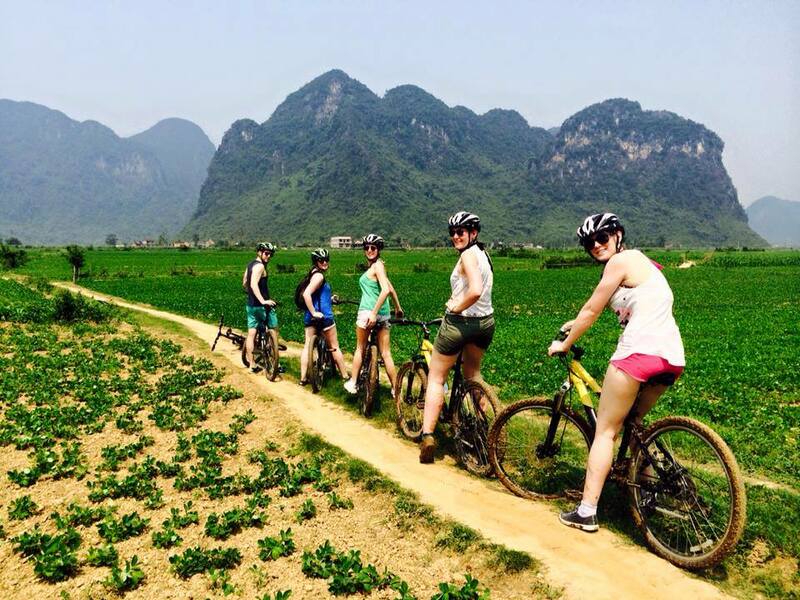 Enjoy our picnic lunch in a local house then challenge our selves with 12 km cycling up hill to 650+ m through Pu Luong nature reserve, you can give this a miss by enjoying the views from the van support to the top. 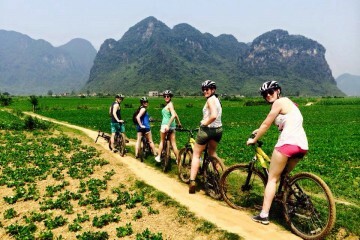 We then hit the trails down-hill riding with spectacular view of mountain, forest and rice paddies. 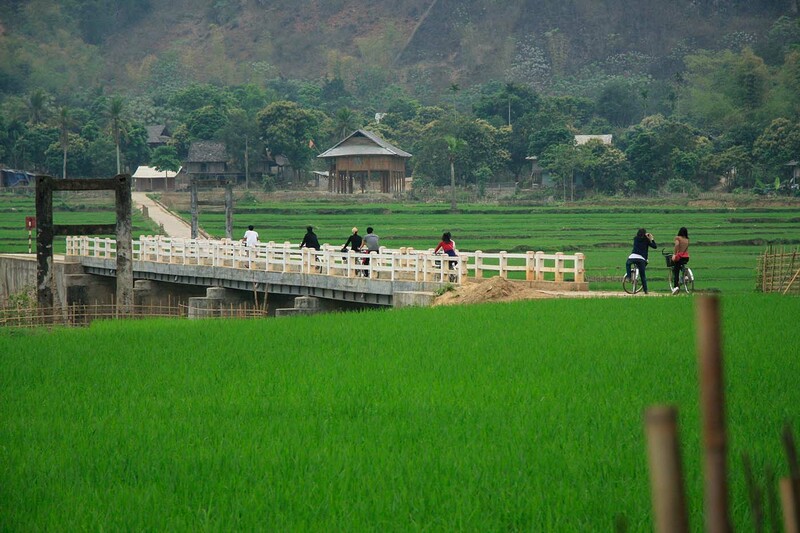 We arrive in Don village for dinner and overnight at a traditional homestay, take a short walk around the village to enjoy the best-terraced fields of Pu Luong. 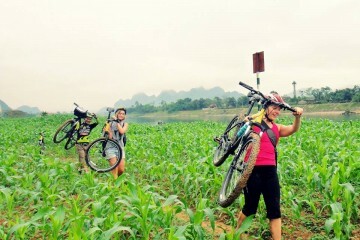 Guide, homestay, all meals, mountain bike, helmet, snack & water. 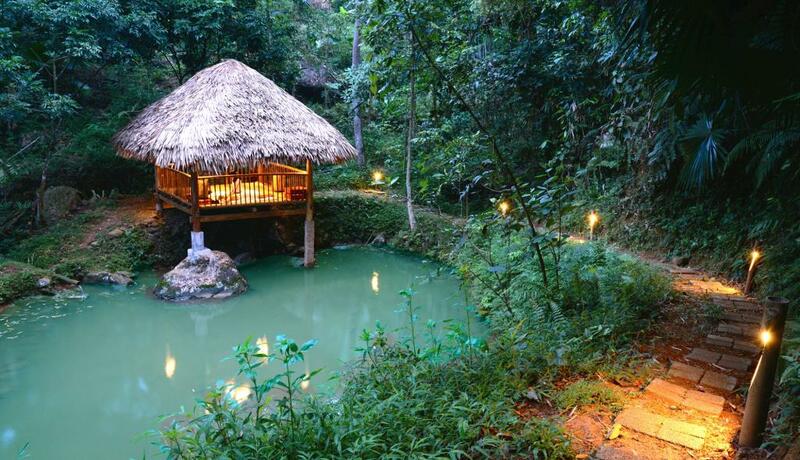 We will do a boat ride in about 1,5 hours along the meandering stream with towering limestone mountain peaks, and row through some limestone caves too. We return to Hanoi in the late afternoon at around 18:00. Transfer, guide, entrances fees, breakfast, lunch, mountain bike, helmet, snack & water, local boat trip.